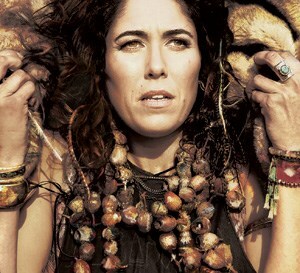 A musical magpie whose mature, self-affirming songs display an unusual emotional breadth, Wallis defies categorization. The Irish artist has paid her dues, shredding her fingers and breaking string after string from the sheer force of playing on stages small and large across Europe, and throwing her entire soul into each performance with a level of energy that makes her an unassailable force of nature. Wallis Bird cannot - and should not - be pigeonholed easily. Capable of the delicate, gossamer-thin ballads that her tiny 5ft2 frame would suggest, she can also summon up a whirlwind of passion and rage in the blink of an eye. Her performances can transition seamlessly from the defiant anthems that can motivate thousands of festival-goers into a rousing sing-a-long, to the most hushed and fragile ballads that can captivate an audience into a spellbound silence . Wherever you may find Wallis, she stands out as a contradictory, powerful presence, one that can unite audiences anywhere she plays. An exceptional guitarist, her unique playing style only adds to the intrigue of her performances. Following a childhood accident which permanently damaged her left hand, Bird learned to play her instrument flipped back to front, thus having to create her own bafflingly complex chord fingerings, much to the bewilderment of any musicians in the audience. 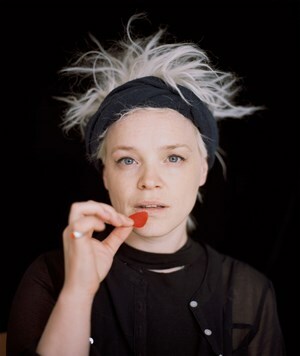 This is Wallis Bird’s second tour in Australia, after her first successful run launching her album “HOME” in 2016. From the West Coast of Ireland to a new life on the road in a 1966 Bedford Bus in Australia… Singing her little heart out! Áine Tyrrell’s music is a contemporary folk collision between the Ireland of generations gone, and the hope of tomorrow. Her songs are as honest as an old friend, warm and inviting, managing somehow to fuse melodies over rhythms which transport you directly into the mid 19th century, to a land hardened by atrocity, which the rest of the world had temporarily forgotten. She is a singer songwriter with a sound that transcends the convention the title suggests, at times anything from tribal to fragile and heartbreaking and most of all immaculately crafted. Áine’s music cradles the spirit of her native homeland, and tips the cap to a notable family history of Irish music tradition. It has grown from those traditional Irish roots into a truly contemporary sound. Ache, honesty, and elated melodies, garnishing rhythms which a thousand years of ancestry have slammed foot to floor boards to, in both celebration and protest. Australia’s historical lineage, and love of all things Irish, stands as testament to the accolades and support she is now garnering here in her new homeland, having procured the honour of Queenscliff Music festivals ‘Emerging Talent 2014’ mantle. Along with receiving the invaluable and ongoing mentorship from our own revered songstress, Clare Bowditch as well as Shane Howard, and in the success of her own extensive tour in support of ‘Queen of Swords’ Áine’s audience has grown, captivated by this unique talent who has infiltrated hearts and minds with her voice, stories and ability to motivate even the most reluctant of audiences into raucous sing-alongs. *Please note that the ‘Baroque Room’ is an over 18 years only venue. No minors will be granted entry to the event. *Please Note - there are a limited number of pre-sale discount tickets available!